While people are in the midst of working full-time jobs, building a career, and paying into a 401k, they often think about how they can’t wait to be old enough to retire so they can relax. What many people don’t realize is that growing older has many stresses as well. You might not be at the beck and call of a nightmare boss anymore, but you are dealing with many other stressful things, and losing your identity as a worker might not be the least of them. As we get older, there are even more stresses associated with aging. 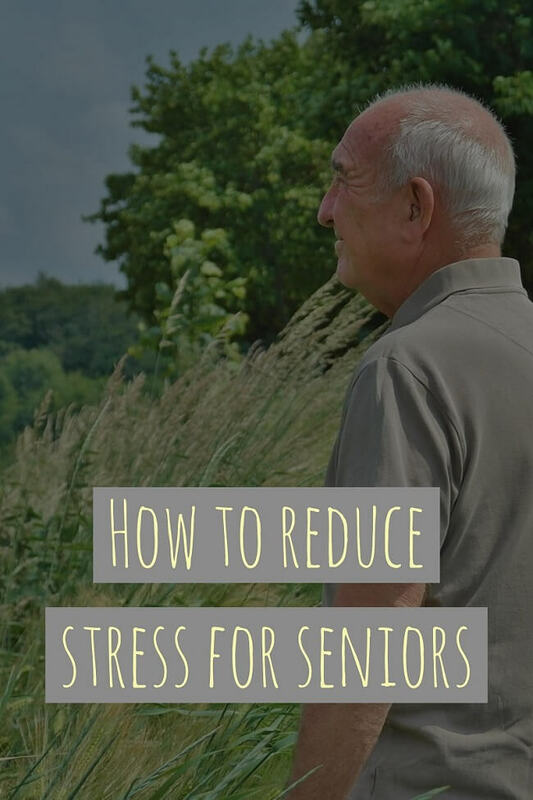 Reducing stress is one of the most important concerns for seniors and people who care for them. 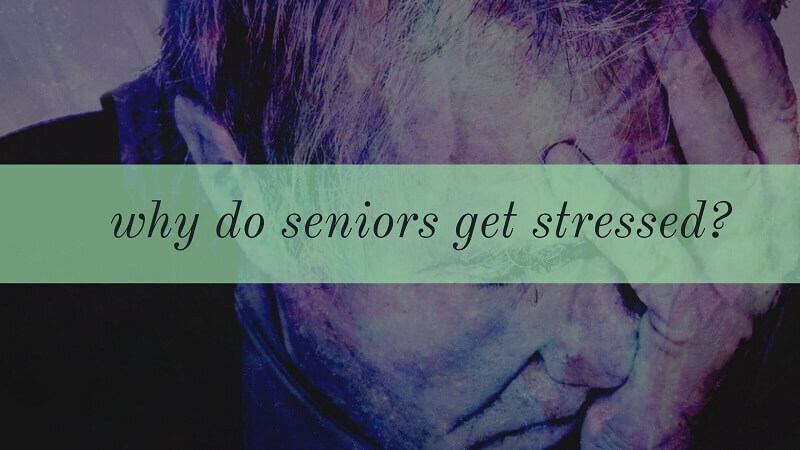 Why do seniors experience stress? One of the main reasons seniors experience stress is precisely because they are not working anymore. It is difficult to experience a change in your identity, and people’s careers are so often their main identity for most of their lives. Then there is the fact that aging often goes along with physical ailments and not being able to do as much with your body. People who spent their lives being useful and helpful to others may not be able to do as much as they used to. This is also a cause of emotional distress, and therefore stress. Of course, the leading cause of stress for seniors is cognitive decline. This is a major health problem that we have not been able to find a cure for yet, and it causes distress for both the elderly and their family members alike. Diseases such as Alzheimer’s and dementia are massively stressful for the people who suffer from them. They are difficult for caretakers and loved ones, but they must be infinitely more difficult for the people who suffer from them. What if you could not remember where you were or why you were there? What if you were surrounded by people you had never seen before in your life, but who insisted that they were your family? How would you know what to believe? How stressful would that be? 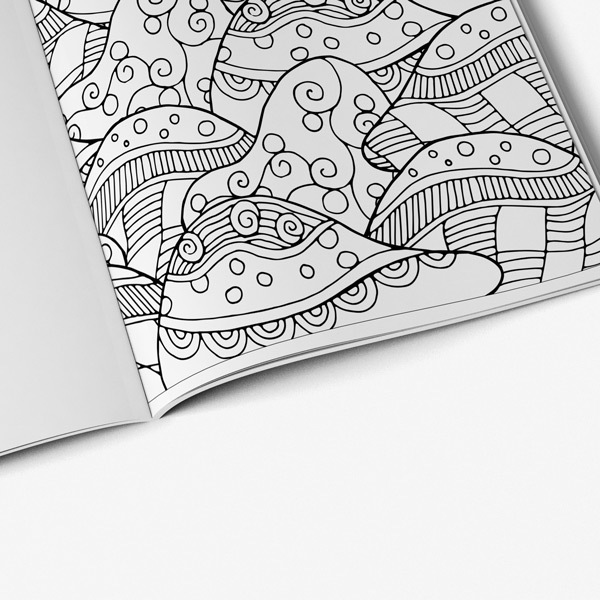 Adult coloring books for seniors are some of the best ways to lower stress. Coloring is a simple activity that makes you focus on something beautiful, so that you don’t have mental room to worry about anything else for a while. It is a creative activity that feeds the soul. And it provides a grounding frame of reference for seniors who are having a hard time with confusion or disorientation. There are many benefits of coloring for seniors. Coloring can even help elderly patients who are acting angry or aggressive, as often these symptoms are signs that the patient is uncomfortable, frustrated, and disoriented in some way. Coloring provides a link back to childhood, and long-term memories are usually the ones that stay with us the longest. So even if an elderly patient can’t remember their grandchildren or great grandchildren, they can often remember being a child themselves. Coloring brings back carefree times in childhood, and this is very comforting for many seniors. Coloring is also a fantastic activity for reducing stress, but it’s also great for family members to do with their elderly loved ones, and for seniors to do together. You don’t need to have any particular physical or mental ability to color, beyond the ability to hold a pencil and color inside the lines. If it is hard to think of things to talk about, coloring is a way to enjoy one another’s company without feeling awkward. You can create memories together by creating art together, and even if you are dealing with issues of memory loss within your family, the time you spend together coloring can be a bonding experience in itself. With adult coloring books and seniors coloring books from Art Therapy Coloring, it is possible to really help with stress issues for seniors. Whether you or your loved one is feeling stress from medical issues or from simply getting older, coloring is a great way to deal with that stress and increase the joy and pleasure in your life.